If you're using your mobile phone, send credit to someone by clicking here. Step 2. 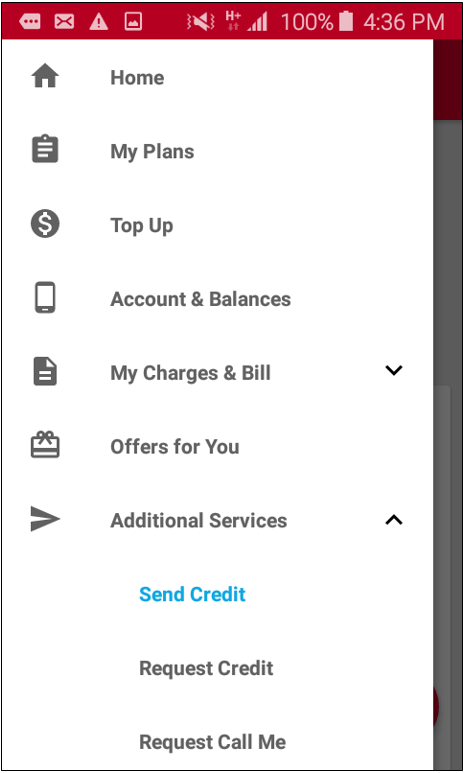 Press the Menu icon ( ) and select 'Additional Services' then 'Send Credit'. ( ) on the left hand corner to go to your contact list and add persons. 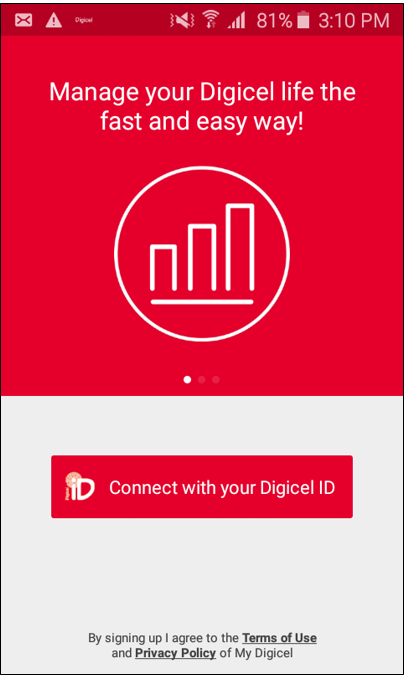 Note: Only Digicel numbers can receive credit. Step 4. 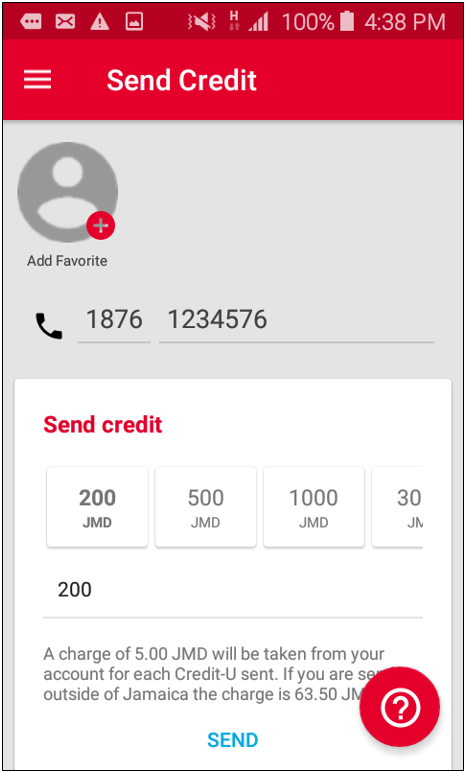 You can enter the Digicel phone number and amount manually or choose from your ‘Favorite Contacts’ to the top; press 'Send'. Step 5. 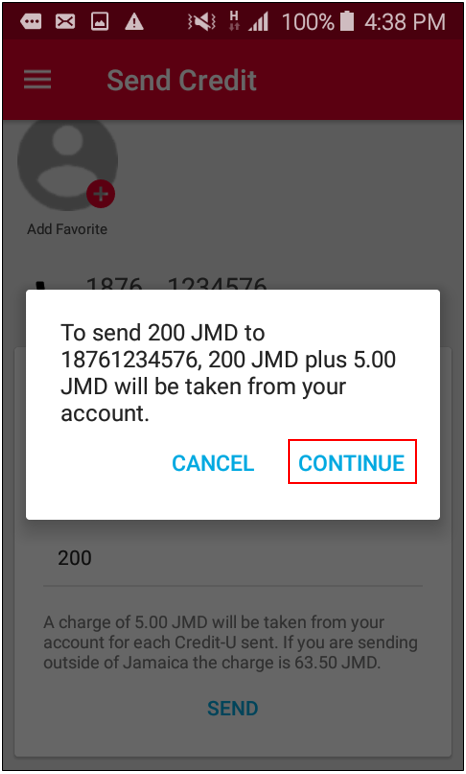 A pop up message will provide the option to ‘Cancel’ the transfer if the information is incorrect or to ‘Continue’ with the transfer if the information is correct. Press ‘Continue’once you've confirmed. A pop up message will confirm that the credit has been transferred to the account. Step 6. You will also receive a text message to confirm that the credit has been transferred and that the cost of the service has been debited from your account. The recipient will also receive a text message letting them know that the credit has been sent by your number to their phone.